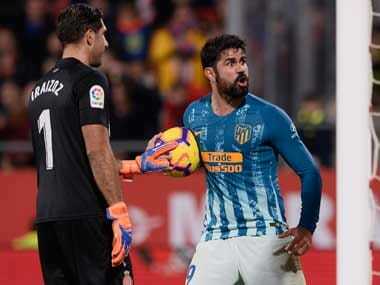 Girona: Atletico Madrid's troubles away from home continued on Sunday as they were held to a 1-1 draw by Girona despite Diego Costa's late show helping to salvage them a point. Costa's excellent run and first touch panicked Girona's Jonas Ramalho into poking into his own net in the 82nd minute after the in-form Cristhian Stuani had put the hosts ahead at Montilivi. The late equaliser was enough to put a smile on Diego Simeone's face but his side have won only once in seven away matches in La Liga this season. It means another slip at the top of the table in a most unpredictable title race, with Atleti only two points ahead of Real Madrid and level with Barcelona, who are to play Villarreal later on Sunday. Girona sit seventh after an excellent start to their campaign. Stuani has led the way. The goal was his 12th of the campaign and enough to move him top of the scoring charts, ahead of Iago Aspas and Lionel Messi. Saul Niguez was pulled out of central midfield and drafted into left-back as cover for Atletico's defensive absentees, who included Filipe Luis, Juanfran, Diego Godin and Jose Gimenez. 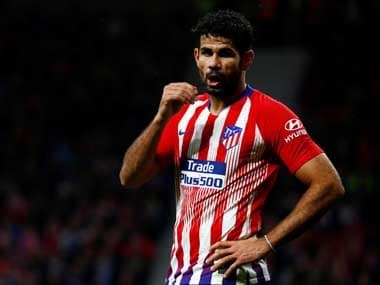 Costa returned after shaking off a foot problem. 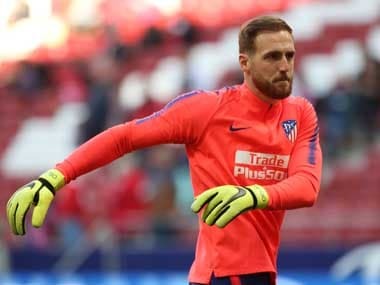 His partner, Antoine Griezmann, forced an early save with a dipping shot from distance while Saul hit the crossbar after a bursting run out of defence. Atletico made the early running, but Girona grew stronger and struck in added-time at the end of the first half. Stuani raced free and while Jan Oblak thought he could clear, he only succeeded in clearing out his opponent. Referee Ricardo De Burgos at first awarded a free-kick but VAR said the foul had been inside the box. Stuani made no mistake. 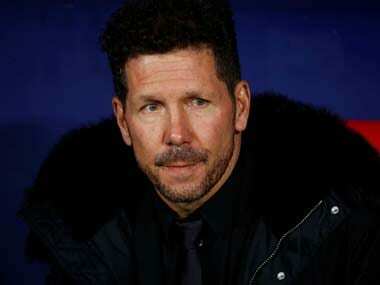 Atleti prodded and probed in the second half but it took until the 76th minute for them to go close. Saul poked Angel Correa's header towards goal but Yassine Bounou reacted quickly to push wide. 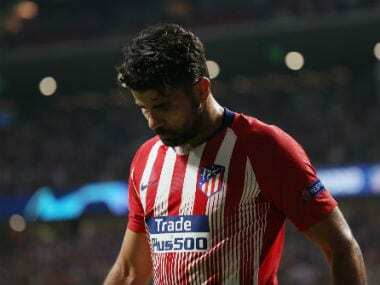 Girona looked to be edging toward victory but Costa intervened. Nipping in behind the defence, he cushioned the ball with his left foot and was poised to shoot with his right, only for the scrambling Ramalho to lunge and push the ball past his own goalkeeper. Brilliant one minute, belligerent the next, Costa was fortunate only to receive a yellow card after barging into and then swinging his arm against Bernardo Espinosa's back. Gelson Martins and Cristian Portu could have won it for either side in the dying moments but as Simeone's smile suggested, a draw was a fair reflection.